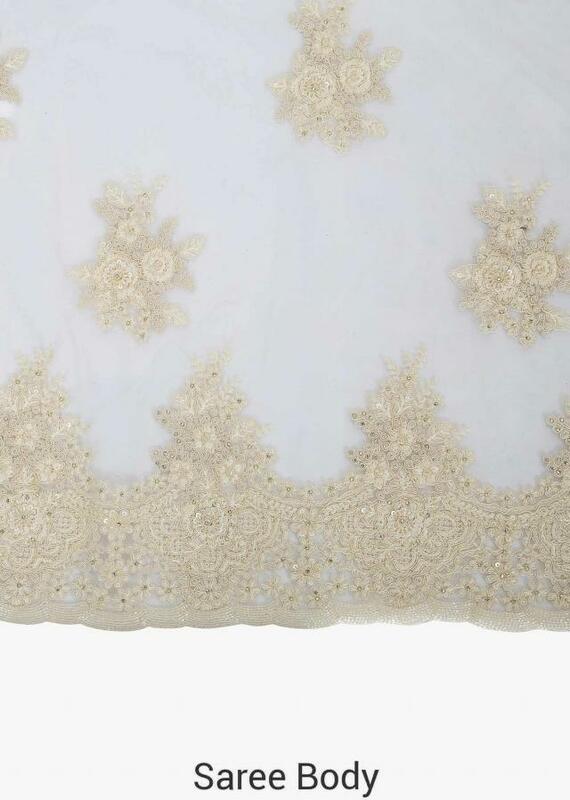 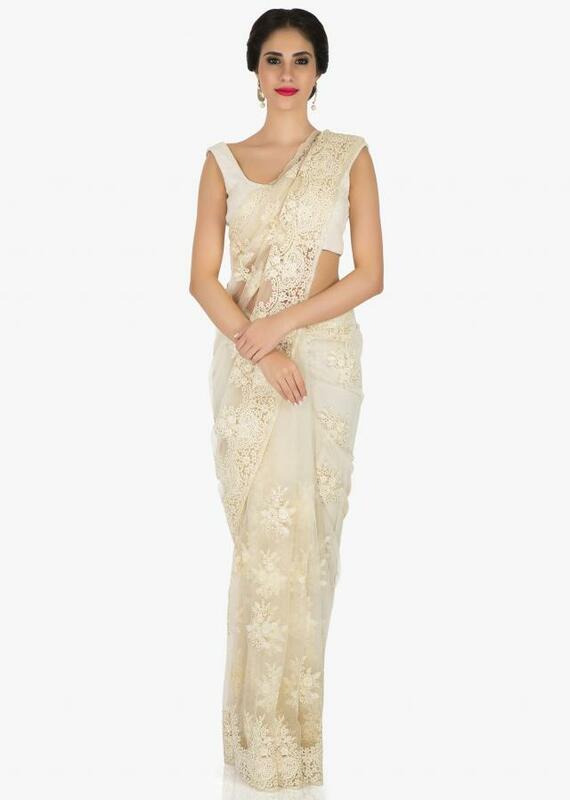 Create that off-white drama with this saree in net fabric. The saree is artfully designed with thread work on it. 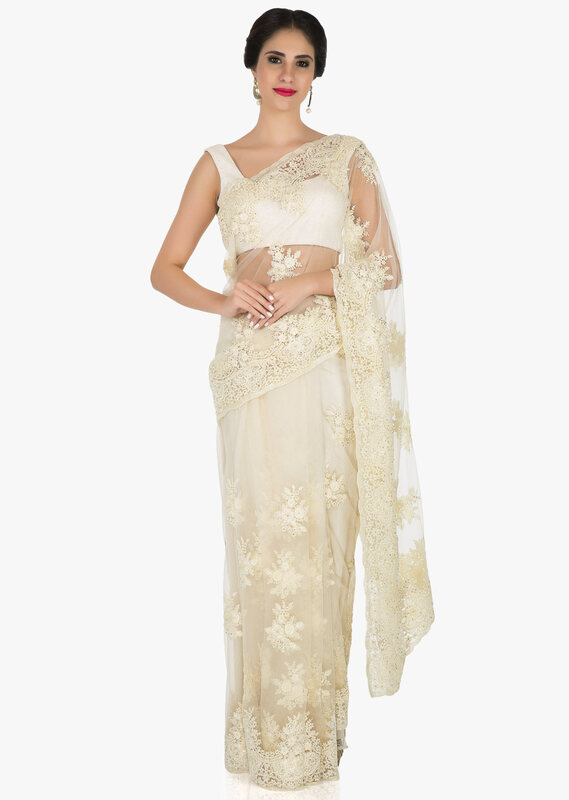 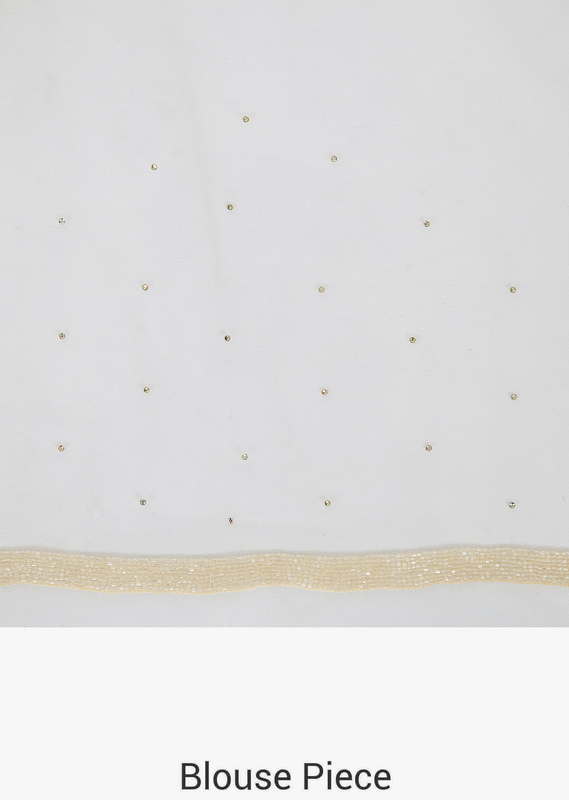 The saree is set together with an unstitched blouse in net with sequin detailing.